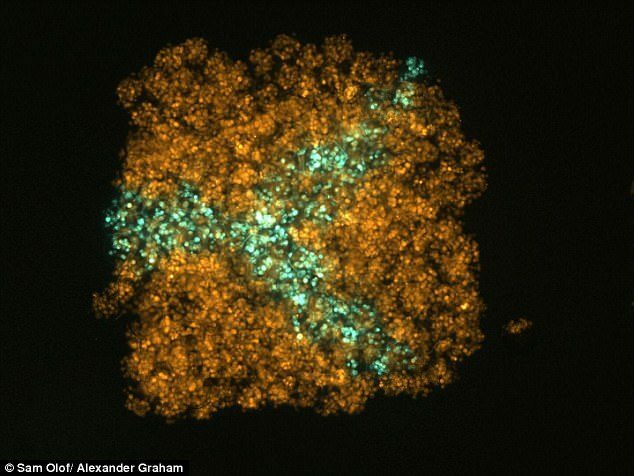 Scientists have developed a new method to 3D print laboratory-grown cells to form living structures. The approach – out of the University of Oxford – could revolutionize regenerative medicine and enable the production of complex tissues and cartilage. Living tissue printed with the new method could potentially support, repair, or augment diseased and damaged areas of the body. An interdisciplinary team from the school’s departments of Chemistry and Physiology, Anatomy and Genetics and the Centre for Molecular Medicine at Bristol demonstrated how a range of human and animal cells can be printed into high-resolution tissue constructs. Specifically, they worked with human embryonic kidney (HEK) cells and ovine mesenchymal stem cells (oMSCs). ‘The versatility and robust nature of our approach provides a new set of tools for bottom-up tissue engineering at a low cost,’ reads the paper on the research, which was published in Scientific Reports. While interest in 3D printing living tissue has grown, it’s been difficult to implement because an effective was to use the technology hasn’t been found. In 3D, the positions of the cells is difficult to control, as they often move within printed structure and the soft scaffolding printed to support the cells can collapse on itself. The researchers have found a solution in a technique for developing tissues in self-contained cells that support the structures to keep their shape. ‘We were aiming to fabricate 3D living tissues that could display the basic behaviors and physiology found in natural organisms,’ Alexander Graham, lead author and 3D Bioprinting Scientist at OxSyBio (Oxford Synthetic Biology), said.